Alix Wisner has over 15 years of experience in the planning, entitlement, and development of residential, commercial, and mixed-use properties. Her experience working both directly for developers and as a consultant allows her to bring unique perspectives to the preparation and review of project approach and approval strategy, documentation, processing, and permitting. Alix specializes in large-scale, complex entitlement projects, and the management and preparation of supporting California Environmental Quality Act (CEQA) environmental documentation. She has experience entitling projects in the City of Pasadena, City of El Segundo, and County of Los Angeles, with particular expertise in the City of Los Angeles. Alix joined Armbruster Goldsmith & Delvac LLP after serving as Vice President of Entitlements and Environmental Review for the Thomas Properties Group Development Services team. In that position, Alix led the day-to-day planning, entitlement, and environmental efforts to secure approvals for the 2.5 million square-foot Wilshire Grand Redevelopment Project, the first high-rise office project planned for downtown Los Angeles in over 20 years. The Wilshire Grand Redevelopment Project included comprehensive entitlements approvals for a transfer of floor area, a supplemental use district for signage, and a development agreement that included one of the most flexible equivalency programs to be approved by the City to date, among other approvals. Alix also has extensive project management experience garnered from her extensive involvement in the master planning and environmental review of the NBC Universal Evolution Plan, a $1.6 billion master plan for the 391-acre studio lot at Universal City. The NBC Universal Evolution Plan was particularly challenging because of the involvement of both the City of Los Angeles and the County of Los Angeles throughout the entitlement and environmental review process. Another major project which Alix was responsible for taking through publication of the Draft Environmental Impact Report was the MetroStudios@Lankershim project, a 1.5 million square-foot project proposed to be built above the Metro Red Line Universal City station. Prior to joining Thomas Properties Group, Alix was a Project Manager for developer and home builder John Laing Homes. In this capacity, she was involved in the entitlement, design development, permitting, and construction of a 180-unit, mixed-use development that included ground floor retail and subterranean parking in Hollywood, as well as the entitlement and design development of an 86-unit residential development in Encino and an 88-unit residential development in Sherman Oaks. 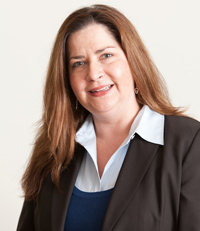 Alix began her career in development with the Planning and Entitlements group at the Engineering and Planning firm, Psomas, where she was involved in feasibility studies and entitlements on numerous complex City of Los Angeles projects, including the LAX Master Plan, the Los Angeles Sports and Entertainment District, and Playa Vista. Alix holds a Bachelor of Arts degree in Latin American Studies from Scripps College in Claremont, California.